Where the road ends and the dirt begins, bitumen edges are left vulnerable. 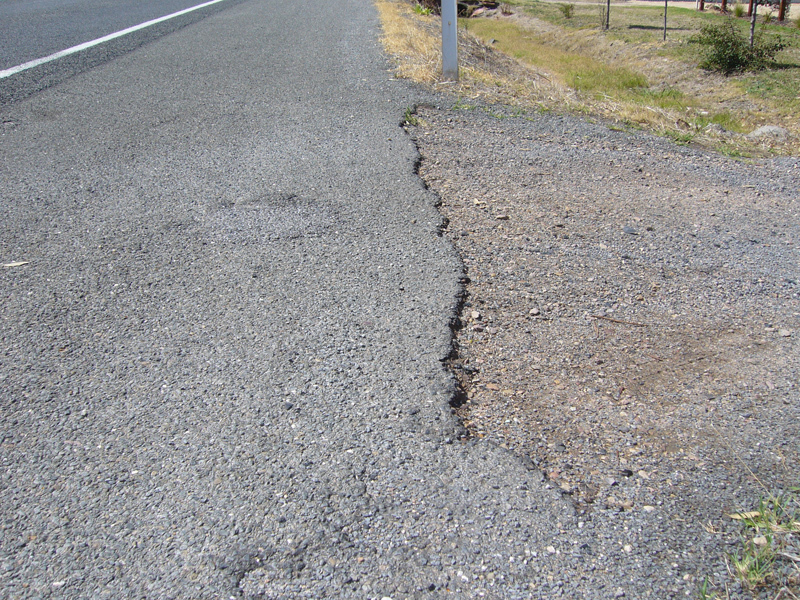 The impacts of vehicles and the elements often ends in edge breakouts and potholes leaving loose material on the surface. Maintenance on civil works are costly on any scale. Road maintenance crews fill up much of their time repairing these problem areas knowing they may have to return time and time again. Prorail is the way to reduce these maintenance costs and hazard problems. By supporting the bitumen edge with prorail the effects of traffic and weather are transferred onto this strong recycled product.